For those lucky enough to have seen it, Weathercote Cave, in the floor of Chapel-le-Dale (SD739775) is probably (and quite literally) the most breath-taking experience in the Three Peaks, and undoubtedly one of the finest in England. A show place as far back as the late eighteenth century, it was closed in 1971 due to the unstable and dangerous nature of the fault breccia making up the shattered walls, and today can only be visited with special permission. 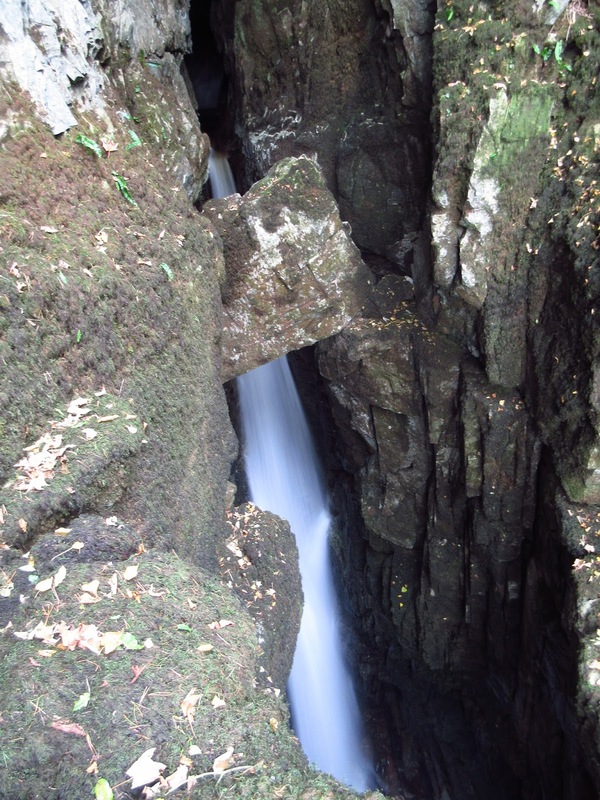 As such, it remains absent from modern postcards in Ingleton, which is somewhat ironic; for here we have the finest of all the waterfalls around Ingleborough, known to just a few discerning limestone connoisseurs. The cave lies in the private grounds of Weathercote House, and its presence in normal weather may be completely unsuspected from those randomly passing; except perhaps for a faint rumbling which may draw the curious to a quaint little door set into the limestone walls of a wooded enclosure; nothing more than a garden on first impressions! 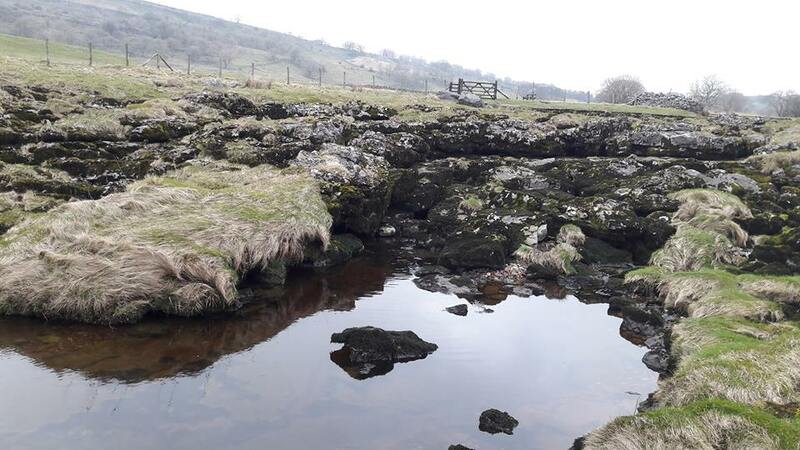 Winterscales Beck, (later Chapel Beck) rising on the lower slopes of Whernside, plays hide-and-seek at Haws Gill Wheel, before disappearing and following a largely underground course. 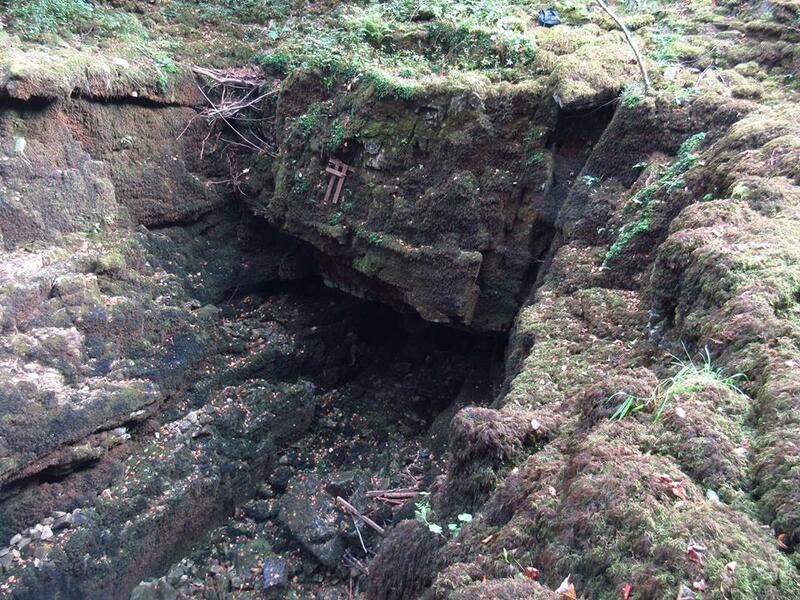 At Weathercote, it meets a major strike/slip fault, dropping dramatically in a 25 metre (77 feet) waterfall before vanishing through cobbles into a flooded bedding plane and carrying its journey to the resurgence at God’s Bridge. 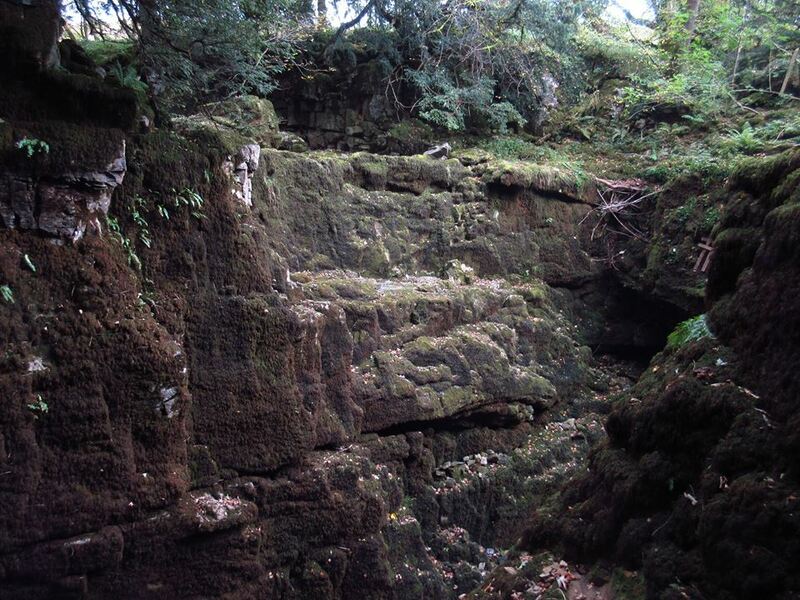 The open hole, beautifully encrusted in mosses, ferns and other moisture-loving plants, is some 61 metres (180 feet) long and 15 metres (45 feet) wide, with a total depth of 30 metres (90 feet). 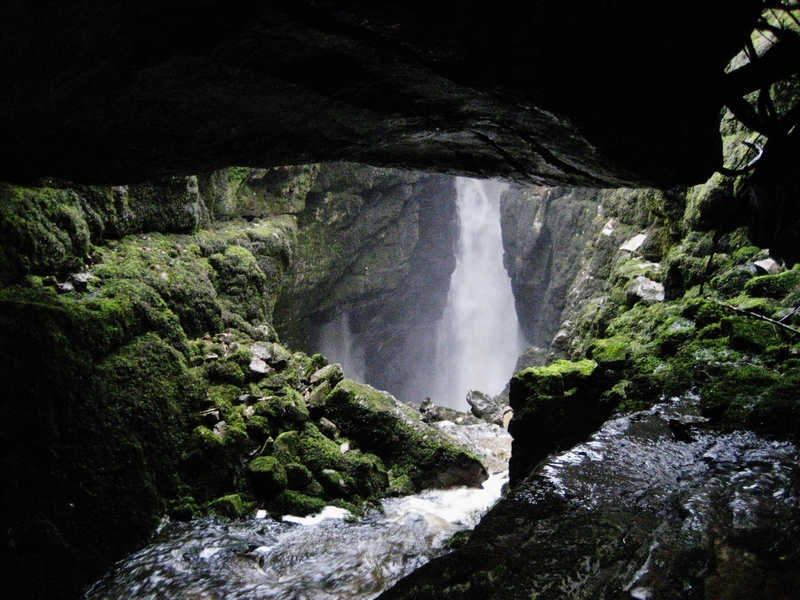 The main cascade enters from its largely flooded route beneath an enormous and spectacularly wedged boulder, known since the nineteenth century as ‘Mohammed’s Coffin’. So dramatic is this white plume of water against the darkened limestone walls, that it is easy to understand the appeal to the early tourists. Turner painted the cave in 1817. The visitor enters the chasm at the south side, where there are the remains of an old flight of steps that once carried tourists into the depths. The descent is steep and slippery, and passes under a precarious-looking bridge made up of a mass of fault breccia. Flood debris can be seen scattered around and wedged into cracks: everything from farming material to tree branches. 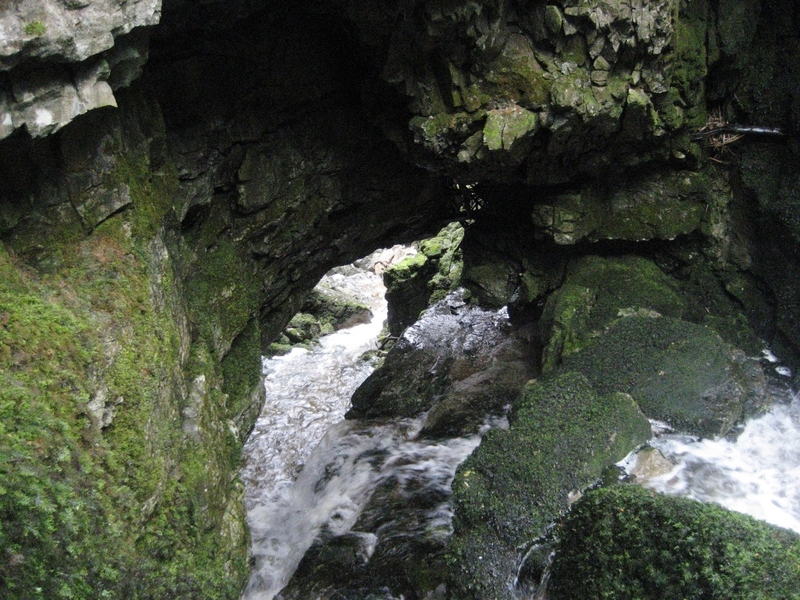 Once under the bridge, the increasing roar seems to make the walls of the chasm vibrate, and a mass of cobbles and boulders leads down to the foot of the cascade. It is possible to pass into a recess behind the falling water in normal conditions, but in high water the fall is aggressive, sending clouds of spray up to 30 metres upwards and is in no way approachable. When caught in the sun’s rays, a beautiful rainbow arches itself over the scene, and this was captured by Turner on his famous painting. Turner painted the cave ‘half full of water- – and this phenomenon still occurs regularly today. 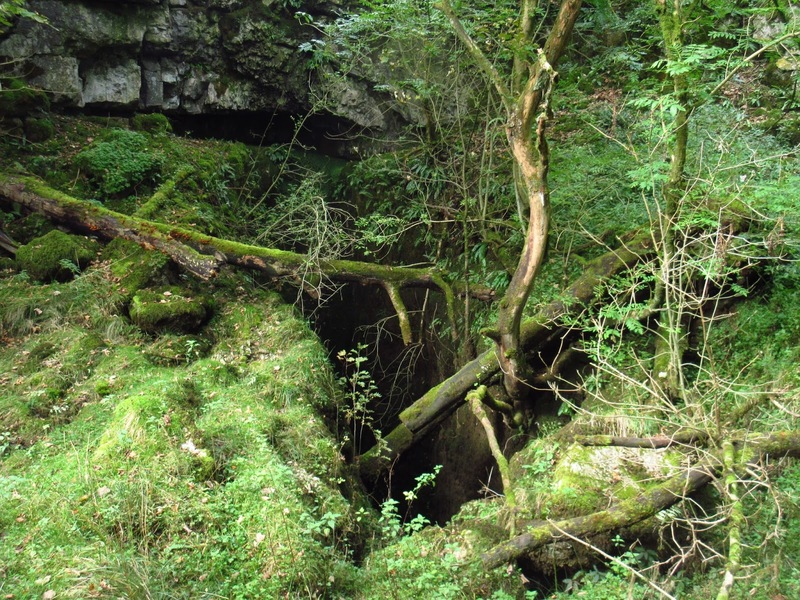 When the flooded Winterscales Beck passages can’t take any more water, the overflow hurries down the normally dry stream bed and crashes to the floor in another waterfall on the east side of the shaft. 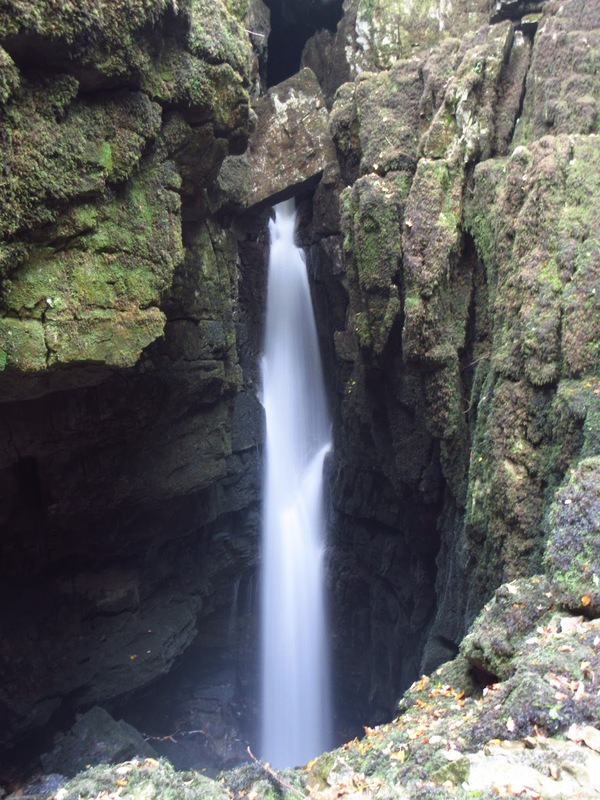 Similarly – a ‘chimney’ to the left of the main cascade directs more overflow to the boulder floor – so there can be three active waterfalls at Weathercote. In the wettest conditions, the great hole fills up completely and overflows down the valley past the house; something worth travelling many miles to see. 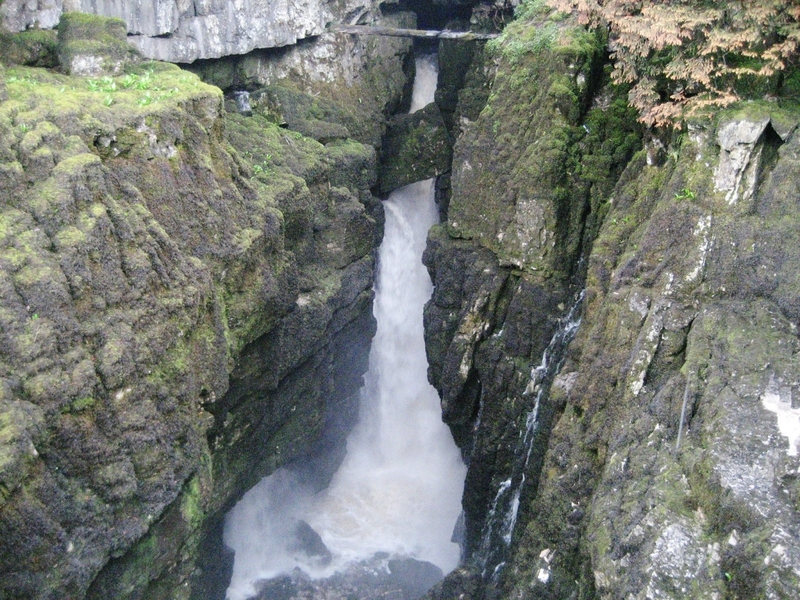 Weathercote’s link to the pots nearby was proved in the early twentieth century when the glove of a female visitor, lost behind the main cascade, turned up in Hurtle Pot (SD738773). This is effectively a window into the Weathercote to God’s Bridge flooded system, and has been explored enthusiastically by divers. 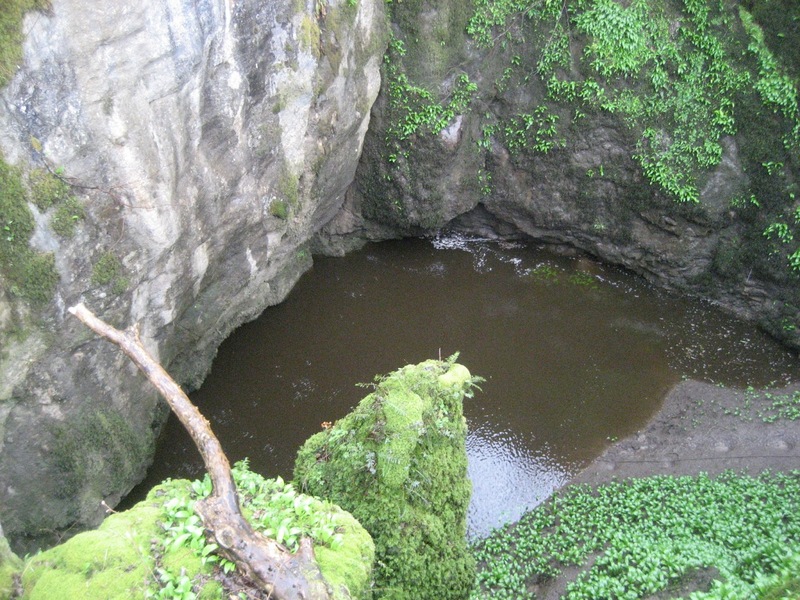 The window is in the form of a deep pool at the bottom of a steep-sided chasm. Fluctuating water levels produce strange gurgling noises (as do stones thrown in) which were the origin of the legendary Hurtle Pot Boggart, believed to drown his victims in the gloomy depths. Between Hurtle Pot and Weathercote lies Jingle Pot, named for the sounds made by throwing small pebbles into the depths. It is another window into the flooded system. Both these pots can be accessed from the lane behind St Leonard’s Church, at Chapel-le-Dale. Despite scores of discoveries since then, it is still difficult to disagree. Weathercote Cave is a classic.